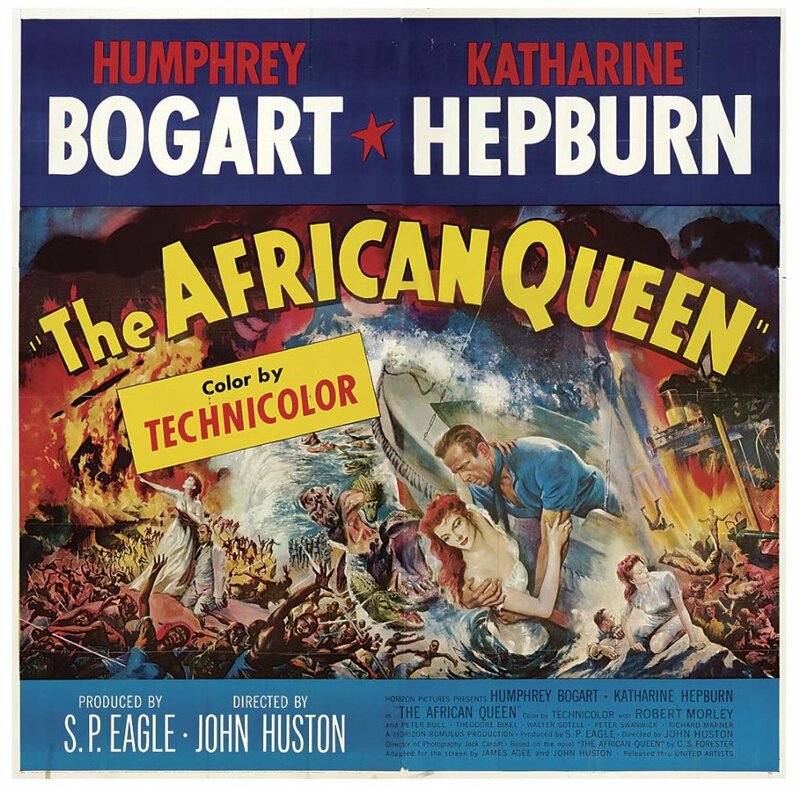 Between Key Largo (1948) and The African Queen (1951), both incidentally directed by John Houston, Humphrey Bogart made six relatively unrewarding films. The only one of any consequence was In A Lonely Place (1950) Bogart gave one of his best latter-day performances as the principal suspect in the murder of a hat-check girl in Nicholas Ray’s 1950 thriller. Bogart plays Dixon Steele a jaded screenwriter, a complex character always teetering on the brink of uncontrollable rages that nearly brings tragedy to everyone he comes into contact with. Bogart’s matched by a career best from the lovely Gloria Grahame as Laurel Gray, she tries to help and falls in love with the psychopathic Hollywood writer. Great camera work and even better lighting techniques makes this a dark and gripping noir. This is a movie I can highly recommend. 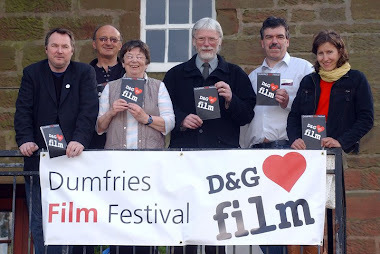 On Monday night the RBC Film Club showed an almost pristine copy of The African Queen. 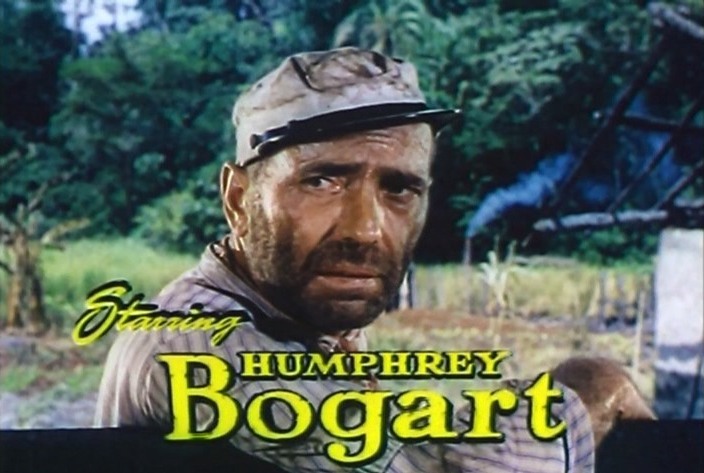 It was in fact the fourth of Bogart’s films to be directed by John Houston and in it he played Charlie Allnut, the gin-loving skipper of the steamboat of the title. 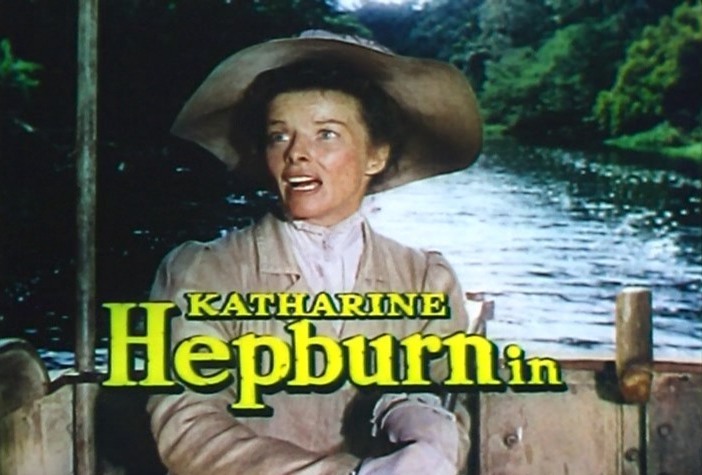 His co-star on this occasion was Katherine Hepburn who portrayed the puritanical church going Rose Sayer whom Allnut rescued from a village where her brother (Robert Morley) who had just passed away, had preached before the Germans had torched his Mission along with the rest of the village. She persuades the skipper to attack a German gunboat that patrols a large lake many miles down river from her burnt out home. The journey is long and arduous, plagued by the elements and the constant banter between the pair but believe it or not they eventually fall in love with each other! 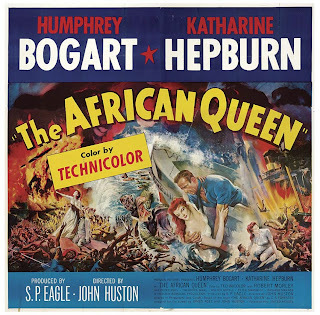 Based on a C. S. Forester story with a screenplay by Houston its set in German East Africa in 1914 at the beginning of World War 1 and shot by the great British cinematographer Jack Cardiff mainly on location in an insect infested, suffocating humid African Congo when lightweight camera gear did not exist! Most of the stars and crew fell ill during the filming from drinking from the local water supply except Huston and Bogart who it is alleged drunk only whiskey during the location shoot. Bogart won his one and only Academy Award for Best Actor beating Marlon Brando who was nominated for his performance as Stanley Kowalski opposite Vivien Leigh in A Streetcar Named Desire (1951), Hepburn was nominated for best actress. 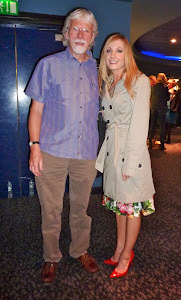 A brilliantly entertaining yarn with Humphrey Bogart at his very best. 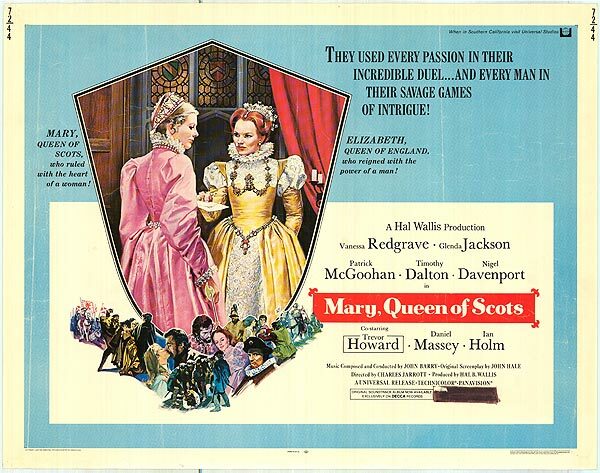 Slightly dated, but then it would be with its dramatic score and Hepburn’s normal over the top acting .The strange thing is I did not realise that the film was shot in Technicolor having only ever seen it on the telly!